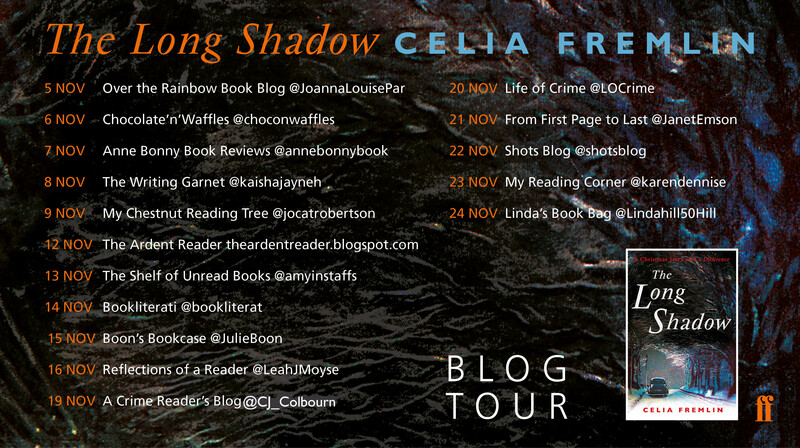 I have to confess that I hadn’t actually heard of Celia Fremlin until I opened up a nice surprise package from the lovely people at Faber and Faber, however I always like to discover new (to me) authors and so I jumped at the chance to be part of this blog tour. The Long Shadow is the ninth novel by Celia Fremlin and tells a Christmas story with a difference. Imogen’s celebrated husband has died recently and she is trying to come to terms with the grief. In the run up to Christmas her house becomes full of her late husband’s family. However things take a rather sinister turn when she receives a phone call from a young man she met at a party accusing her of murdering her husband. As we begin to find out more about Ivor her husband, we also realise that things are never what they seem. Celia Fremlin is described as Britain’s answer to Patricia Highsmith and I can completely understand why, this is domestic thriller writing at its best. The novel was originally published in 1975 and yet when reading it you wouldn’t have known it was 40 years old (apart from the obvious lack of mobile phones and other technology of course) The writing is superb and it draws you into the centre of the family as secrets are unearthed. Most of the action takes place in Imogen’s home and it gives it a claustrophobic, closed door mystery feel which was gripping. I thought The Long Shadow was a fantastic piece of observational writing, Imogen’s place at the centre of the family is fragile as she is surrounded by people from her husband’s past that she is not sure she really wants there. All the usual niggles of family life are within these pages but they are heightened by distrust and grief as well as the pressure of Christmas. The Long Shadow was a great read that was superbly written with a story that sped along, yet remained calm and almost gentle in its execution. I thoroughly enjoyed this and will definitely be searching out more of Celia Fremlin’s work.